The Trump Organization has announced plans for a mid-market hotel chain differentiated from its competitors via balls-out performative patriotism, like From the Mixed-Up Files of Mrs. Basil E. Frankweiler but set in a Logan’s Roadhouse. The chain, according to the New York Times, will be called “American Idea,” and the plan is to stand out by “featuring artifacts of American culture in the hotels, such as an old Coca-Cola machine in the lobby or American-made sundries in the rooms.” The first hotels will launch in Mississippi. The American Idea chain is the latest expansion of the Trump hotel empire, coming just months after Mr. Danziger unveiled plans for a four-star brand known as Scion. The Trumps will not own the new hotels under either brand but instead license them to business partners (who must pay royalties and other fees). The Trumps plan to manage the day-to-day operations of the Scion hotels but leave that task to their partners at the American Idea properties. Their Mississippi launch partner: Chawla Hotels, a regional business run by an Indian-American family, which plans to change over at least three of their existing hotels from other national brand names. Eric Danziger, the chief executive of the Trump Organization’s hotels division, said in an interview that the company had planned a hotel expansion for nearly two years, apart from the Trump campaign. 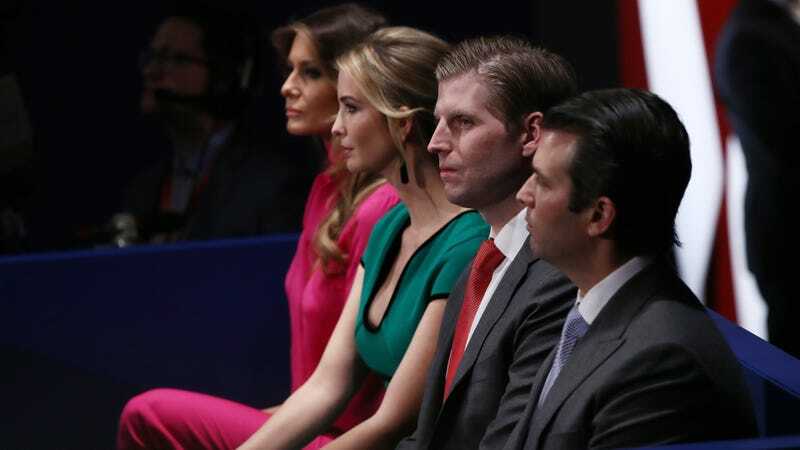 During the campaign, the Trump children would report back about the thousands of supporters attending rallies and what they saw as a chance to build a line of hotels standing out from the cookie-cutter options in midsize and small cities. The Trump children looked out at their seething crowds of political supporters and saw... a business opportunity.